​The mission of the National Center for Veterinary Parasitology is to further the discipline by bringing together partners from academia and industry to address emerging issues. The NCVP seeks to serve the veterinary profession by developing future leaders in veterinary parasitology and by supporting diagnostic and consulting services worldwide. 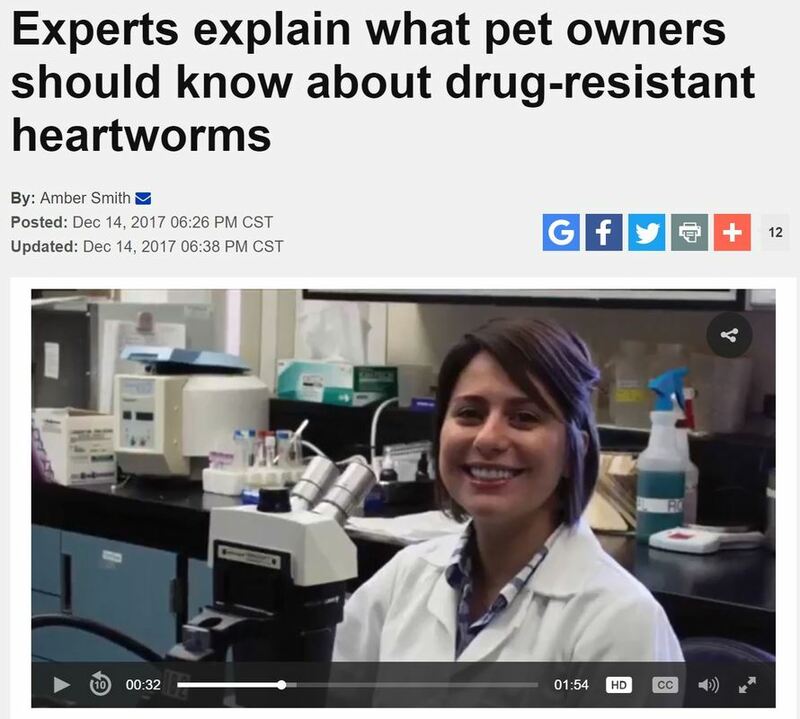 Dr. Cassan Pulaski, Merck Resident in Veterinary Parasitology at Louisiana State University, was recently featured on local news to raise public awareness about drug-resistant heartworms. Enjoy!